Whew! It took a huge effort to get this video done today. My sad old dinosaur computer crashed about 10 times, no exaggeration, before finally completing its mission. Sheesh! I do hope you enjoy the recap of my 2015 Quilt Retreat! Find the photos mentioned in this video on Flickr! To be added to Instagram. 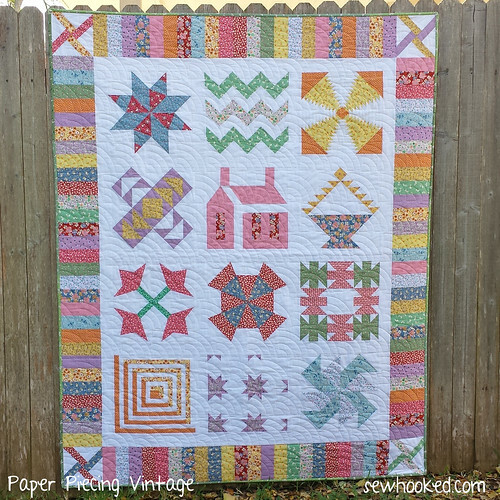 REDUCED: Paper Piecing Vintage is now just $10 on Craftsy (previously $12). That’s an entire block of the month, plus bonus blocks and layout instructions for just $10! This entry was posted in talk to me tuesday and tagged 2015 retreat, australia quilt, orphan block quilts, retreat on March 31, 2015 by Jennifer Ofenstein.